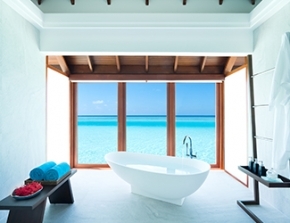 Maldives is formed by a double chain of 26 atolls in the Indian Ocean, about 400 kilometres south-west of India. It is the smallest country in Asia in terms of population and area. It is also the planet's lowest country, lying just 1.5 metres above sea level. 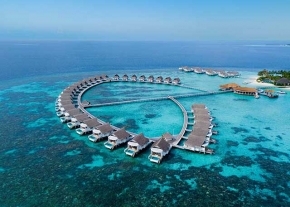 Located exclusively at the tip of South Male atoll, the unique location of Adaaran Club Rannalhi offers access to pristines beaches and excellent scuba diving opportunities. Take in views of verdant gardens or the tranquil ocean from the hotel. Or simply relax in your room and enjoy the modern facilities that furnish every rooms, including catching your favourite programs on the satellite television.